I have an STH Salt No 3 cassette reel that has seen very little use. On a steelhead fishing trip this past weekend the body of the reel separated from the foot. I purchased it new from Gander Mt which is now defunct and I cannot seem to find warranty repair info for STH anywhere on the internet. At one time Cortland was handling warranty issues for STH and I spoke to their customer service folks this morning. They no longer provide service for STH products nor do they have any additional info to share. 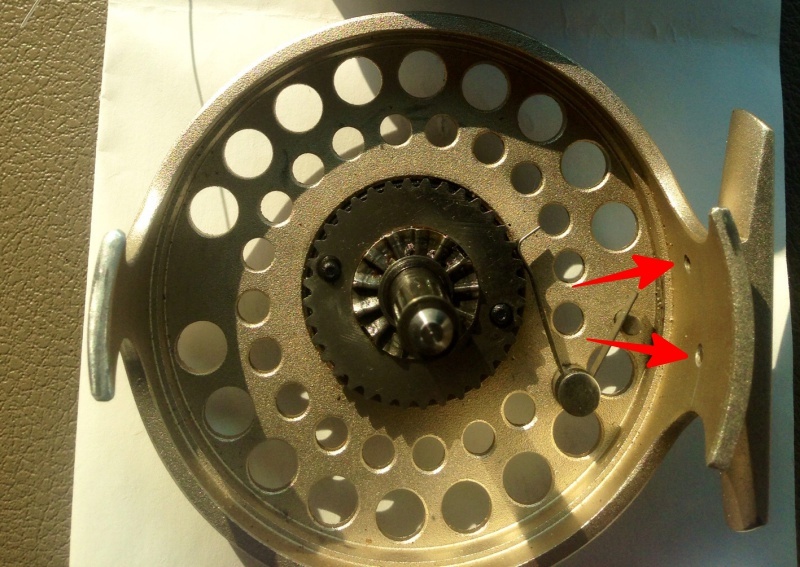 doesnt the foot screw or rivet on to the reel frame? Yes it does have two small screws and they pulled right thru from the body of the reel. They will now not go back into those holes to reattach the foot. I was casting when they separated and I have only caught 3-4 small fish using this reel. I didn't have a backup rod/reel with me so that ended my trip. This is the only STH reel I own and I cannot believe how easily it came apart with such little use. Yes that would be my next step. Since the reel has a lifetime warranty I was checking on that route first. It doesn't seem like they are even in business any longer. If their reels fall apart this easily I can see why. Do you recommend one of those inserts over the others? I had an STH reel that needed a replacement part. The company was sold a few times and the last owner was Cortland. An old article I found said that cortland would repair the reels; but when I emailed them they said they stopped repairing them years ago. They told me to send it in and I could choose any of their fly lines in trade; so that’s what I did.
" The retired CEO of STH Reels USA, and the founder of the "World Class Angler" (an early Florida Keys fly shop), located in Marathon, Florida, Jordan is a well known speaker, author, and consultant to the boating, fishing, and fly fishing industries. " I have several STH reels in various sizes, some I’ve owned for more than 20 years, and have never had issues like those you describe. Second vote yes on Archuletas. Had great service and experience there getting a frozen up, mid-60’s era Hardy back up and running.